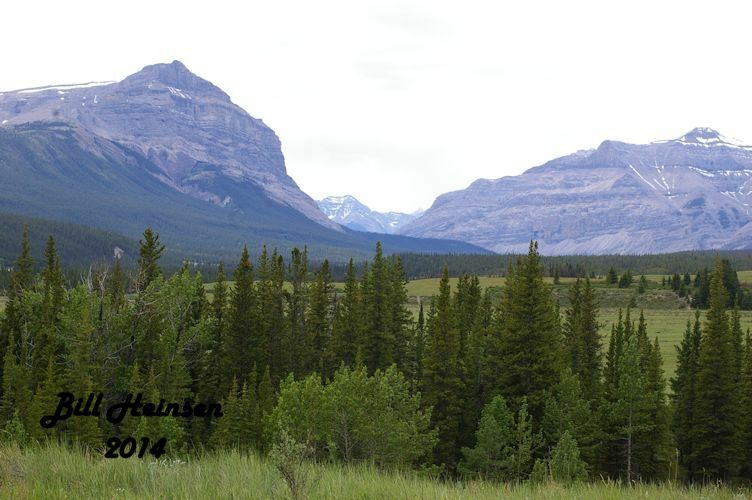 These three photos are taken at the source of the Red Deer River, about 20 km east of Lake Louise. Copyright 2013 Bertha Ford. 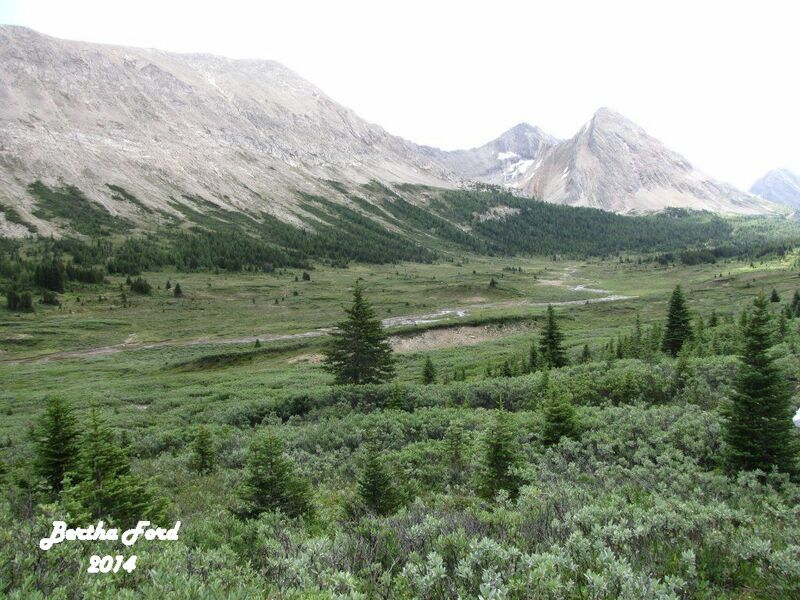 In Banff National Park, the Red Deer Valley is isolated and beyond the reach of most hikers. No roads scar the landscape into the valley. 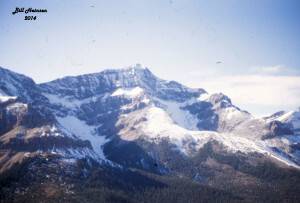 It is one of the few regions in Banff National Park to be untouched by fire in the 20th century. Home to elk, moose, wolves, grizzly bear, and cougars, the valley is one of the last few remaining refuges for these large carnivores and the ecosystems necessary for their being. The river starts about 20 kilometres northeast of Lake Louise in the waters of the Red Deer Lakes and by the melt-water of the Drummond Glacier. 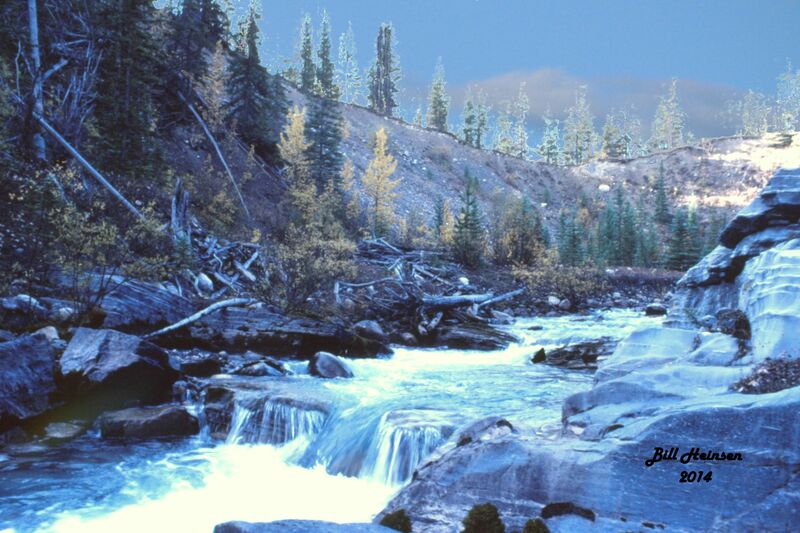 The river begins its descent of 1358 metres (4454 ft.) on its journey to Saskatchewan. 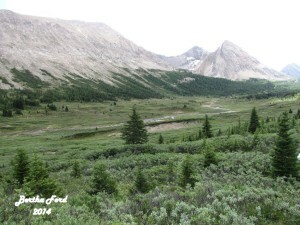 Meadows, lining the valley floor, give way to mature spruce forests. 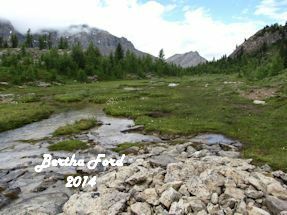 Eventually the river traverses a gap in the steeply tilted limestone of the front ranges of the Rocky Mountains and begins its journey across the foothills and the prairies. 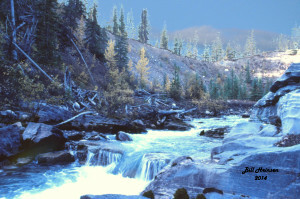 There are no falls and remarkably few large rapids on a river beginning in such a rugged area. 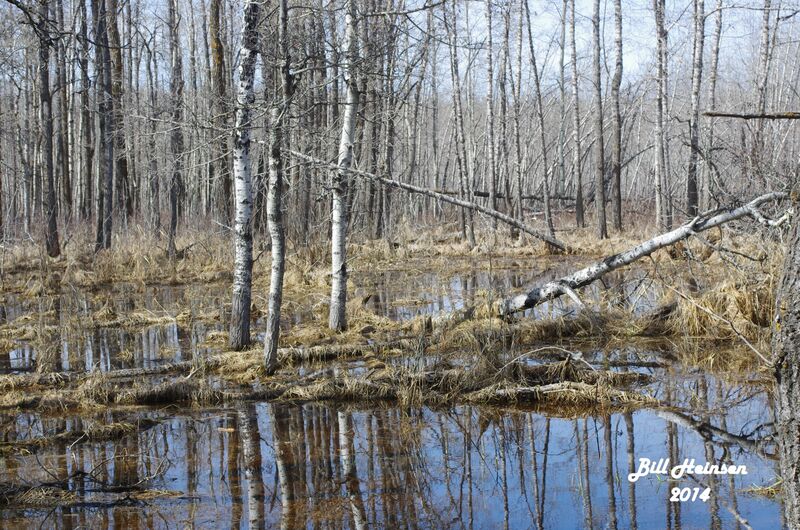 A major tributary, the Panther River, starts just a few kilometres from the source of the Red Deer River, but it will be a long distance before they actually join. It then wends its way for some 460 miles past Ya-Ha-Tinda Ranch and the cities of Sundre, Red Deer, and Drumheller before joining the South Saskatchewan near Empress. High over the valley of the Red Deer River, the mountains crags formed around the glacial cirques and moraines of the alpine region look down. Up there, on top of the continent, it is too cold for plants or animals of any kind to grow. Here in eternal winter, cold winds and snow are the norm. But even here, the beginning of the conditions for life are present. Alternating freezing and thawing, expansion and contraction, and glacial action, slowly cause the surfaces of the rocks to exfoliate and succumb to the constant force of gravity. 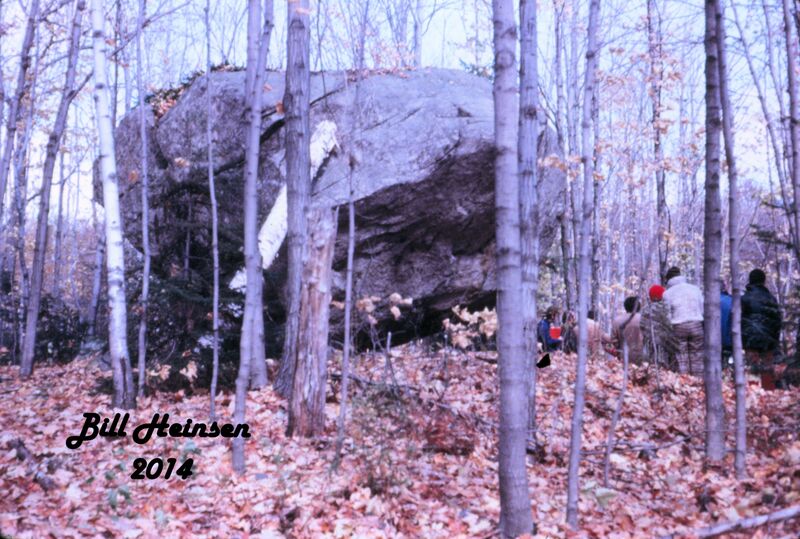 Flake after flake along with the rarer larger piece of rock fall into the valley to become the soil that plants need. Cirques: Glaciers carved these huge bowls into the sides of the mountains. But one does not have to descend very far before the first traces of life begin to show. Colourful lichens grow on the rocks, some in conditions so adverse, that an increase in diameter of one centimetre in a 1000 years in the colorful little rings is considered rapid. Still those primitive life forms, once gaining a toehold will speed up the forces of erosion and the creation of spots where plants can put down their roots. In is in these regions that we can appreciate just how tenacious life is. A bit of warmth and a bit of soil is all that is asked and plants begin to take root. 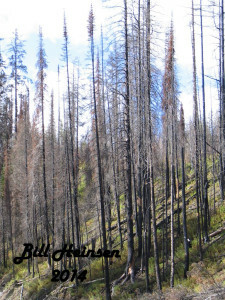 Descending farther, one soon enters the subalpine region on the mountains and heathers, stunted evergreens, and ground covers begin to show. Descending for a few more minutes and one enters the subalpine. Here the temperatures struggle above freezing for a few short months of the year and plants take the form of lodgepole pine and Englemann spruce. The range of species expands rapidly as one descends until the montane region is reached. Here plants show a profusion of blooms in the very short summer. 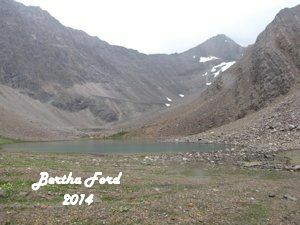 This is a favourite region for hikers. 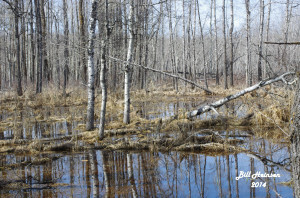 Ponds drain into the Red Deer River. Hundreds of small streams join to form the main river. 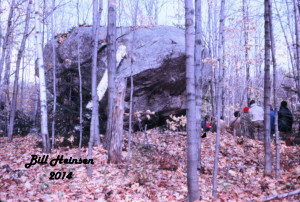 The paths of glaciers are marked by large erratics. As with the plants, animals vary according to altitude. Only the very hardy, like the mountain goat and mountain sheep, the pika and the marmot, the grizzly bear and the ptarmigan comfortably exist at the high altitudes. One closer examination, many kinds of insects show. To follow the path of the river is to traverse time itself. Ancient layers of sandstone and limestone in the Front Ranges give way to more recent prairie soils, a legacy of the great ice sheets that blanketed all of Central Alberta for millions of years. 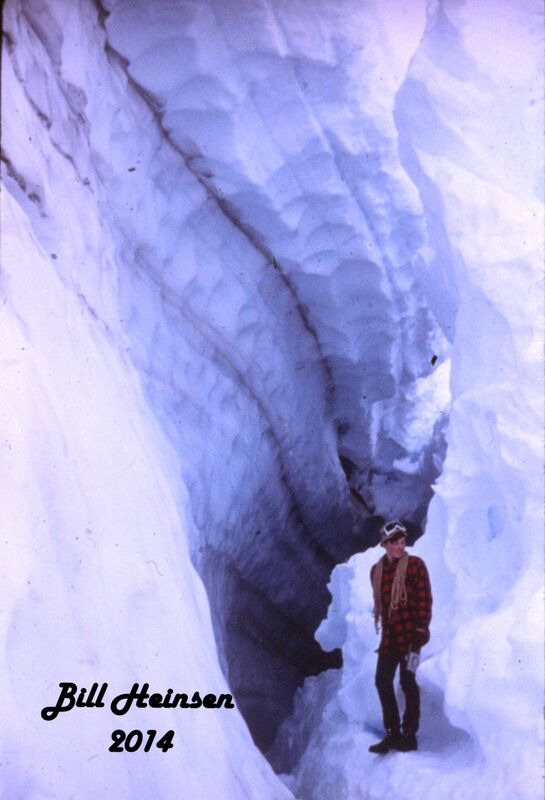 The melting of those glaciers is relatively recent in terms of the great time spans that shaped the Earth. As recently as 15,000 years ago, the climate was slowly warming allowing hardy species from farther south to invade. Among those species were the ancestors of the people who would become known as the Plains Indians. Fossils recovered from the limestones of the mountains indicate that they were formed in the bottom of vast oceans, long before the dinosaurs ruled. Millennium after millennium as the continents shifted, pushed into, and replaced each other, forces beyond comprehension slowly lifted the seabed, folding, breaking, and thrusting layers one upon the other, until a high plateau had replaced the sea. The plateau was high enough to be cold, allowing snow and ice to form. During this process volcanoes formed to release the intense heat and pressure from beneath and began building the land that would become the western parts of the United States and British Columbia. Those events did not reach in Alberta, but their effects very profound. Over the eons, the earth’s climate underwent many changes, climaxing with the last great ice age. Starting about 2 million years ago, glaciers many kilometres thick formed in the higher and northern regions. The weight of the ice caused the bottom to extrude and slowly flow outward from the centre. Grinding and polishing, the ice began to remove the rocky land below. Rivers formed at the perimeters of the glaciers to carry the pulverized rocks away to the oceans in the form of sand and silt. 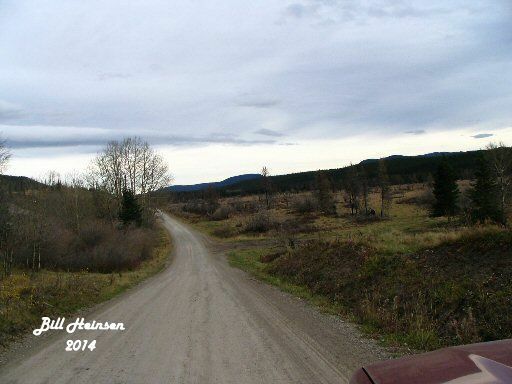 The gap where the Red Deer River exits from the mountains. Not all sediments were created equally in hardness and strength. Weaker layers gave away to the moving ice faster than did the harder ones. Hugh rifts began to form under the ice. Heat from the friction of ice against rock caused melting and the rushing waters under the ice began to remove more rubble. Water and ice combined to dig deeper and deeper into the plateau, not evenly, but forming deep, approximately parallel gashes. 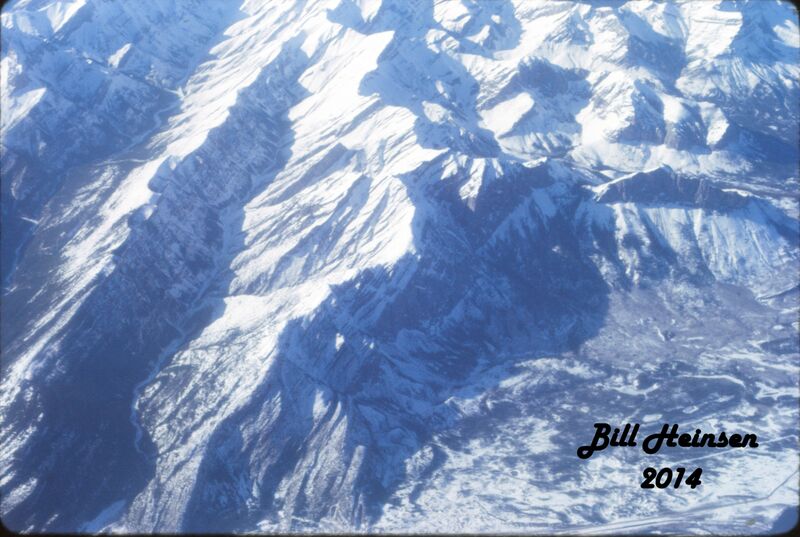 Those deep escarpments would not become visible until the ice had melted and would be called mountains. The Rocky Mountains are a legacy of the Ice Age. Before leaving the foothills, the river has to drop over a series of very hard shale shelves formed in times long past. These shale shelves are the joy of canoe and enthusiasts when they pit their skills against the river. But the great forces of mountain building did not extend into the regions to the east. The land was elevated, but not so much as farther west. The glaciers removed the sediments move evenly and they left no giant rifts in the land large enough to be called mountains. Today we can still see the results of the great floods caused by the melting of the glaciers. 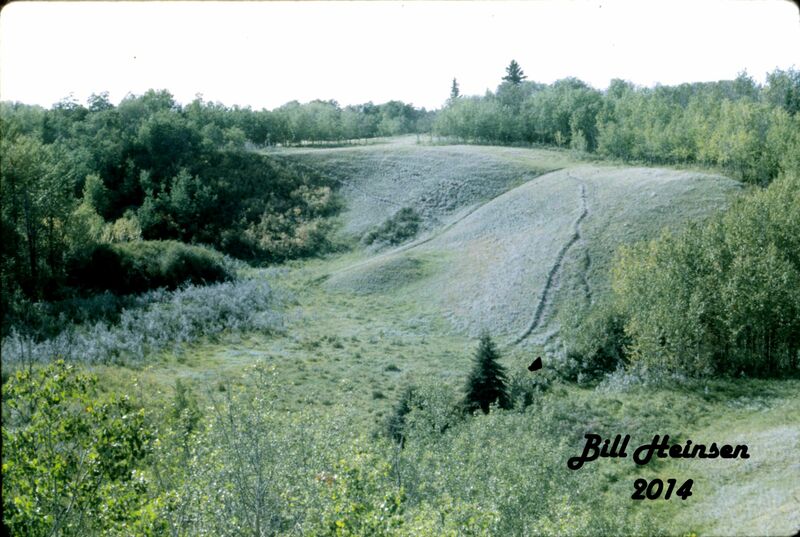 The Red Deer River’s great legacy to the world, the Badlands, were formed as huge rivers rushed south and eastward, cutting slashes in the land as they emptied into the low spots that would become lakes in the undulating countryside. Sometimes tremendous blocks of ice jammed the path of the waters, but always the river prevailed. A small crack, a tiny niche was all that was required for the water to find a path, and once a path was opened, the flood was not far behind. 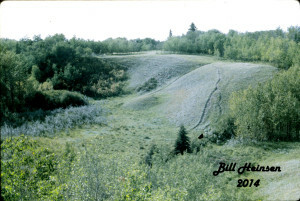 We can still find the thousands of valleys and coulees left by the waters as they joined and rejoined to form the vast flowing torrent that was to become the Red Deer River. Glacial cave: Water from melting ice forms caves and tunnels in the ice. Glaciers do not melt uniformly. Sometimes large blocks of ice get left behind, some lasting for centuries. The weight of the ice may cause depressions to form. The large lakes of the Red Deer River basin are remnants of those blocks of ice. Buffalo Lake, Sylvan Lake, Gull Lake, Sullivan Lake and Pine Lake all owe their beginnings to melting ice blocks. And as the ice melted, slowly at first and then with increasing speed, plants began to invade the margins of the inhospitable land of the former ice. 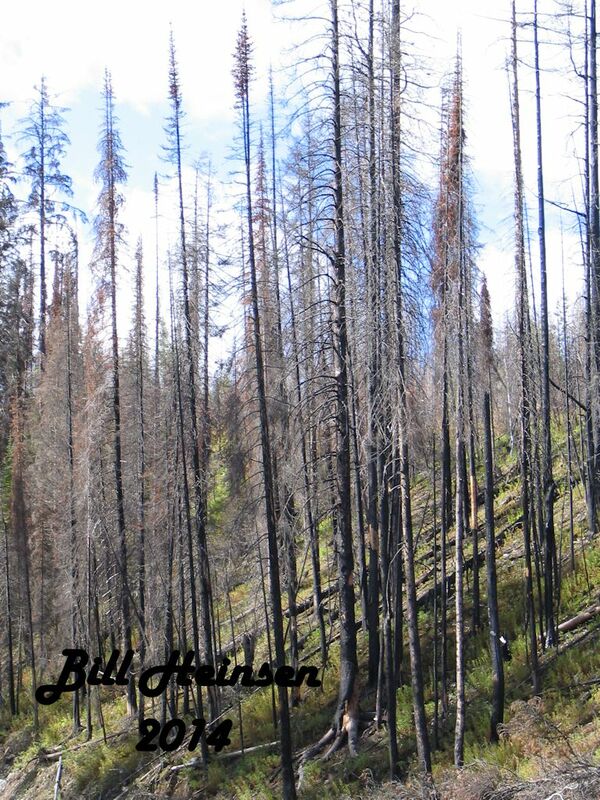 Lichens and mosses did the groundwork and established footholds on the barren landscape. In short order, the acids from their roots began the process of forming soils. In some places, mud, silt, and sand settled to the bottom of great glacial lakes. 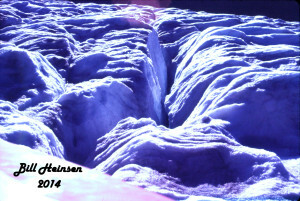 In other places, rocks and debris trapped within the ice fell into the ever-widening crevasses within the ice layers. Huge piles of that material dot the landscape today as the kames and kettles that make Central Alberta so important for migratory waterfowl nesting sites.